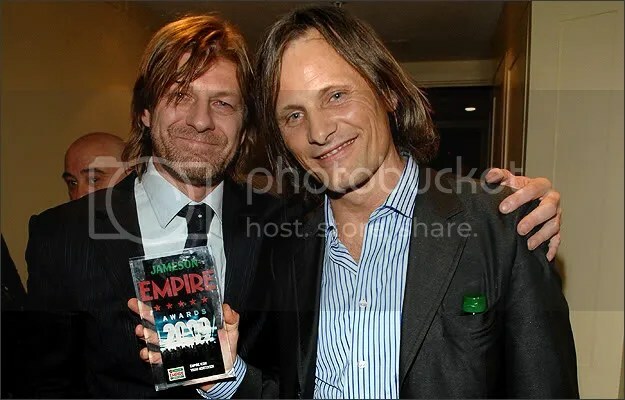 Viggo Mortensen won the Empire Icon award which I thought was really cool, and his fellow Lord of the Rings star. Sean Bean presented it to him 🙂 and I have found a lovely picture of the moment. Love it! Viggo is just too cute, I love his smile!